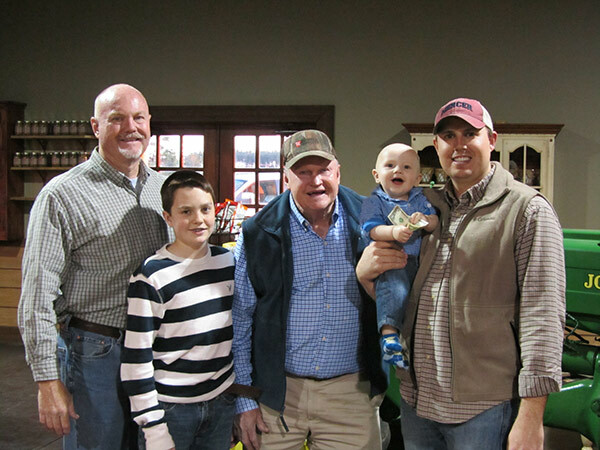 In 1916, Charlie Rutland started a small 36-acre farmstead; nearly a century has passed and, five generations later, Rutland Farms remains family owned and operated. Today Rutland Farms has evolved into a diverse farming operation and a welcoming agri-tourism attraction. Located in the heart of South Georgia, just a mile and a half from I-75, Rutland Farms began offering a primitive You-Pick strawberry patch in 1998 to provide the local community with fresh fruit they could harvest themselves. In the winter of 2000, the original “Strawberry House” was constructed to house a new product line of jellies, world famous homemade ice cream and a more diverse produce selection. The simple shed served as a welcome station to visitors for several years and as a landmark for travelers seeking a taste of country life. In the spring of 2011, construction for a new 4000 square foot facility, The Market at Rutland Farms, broke ground. Now, locals and visitors alike can enjoy visiting the farm and purchasing a variety of fresh vegetables, fruits, nuts, and other locally produced specialties, including our jams and ice cream. In addition to the items grown on our farm, we partner with other like-minded growers and artisans in our area to provide a wonderful variety of seasonal produce and specialty items. And, our new online store offers folks a chance to order non-perishables year-round! Over the years, Rutland Farms has blossomed from its humble beginnings into over 2100 acres of fertile farmland with more than 22 crop varieties grown – and, we plan to offer additional items in the future. More than 20 ponds are located on Rutland Farms and we serve as hosts to many annual bass tournaments for fishing clubs across the south. Additionally, Rutland Farms offers “hands-on” style field trips to educate students about agriculture.